Cleaning for health sometimes referred to as green cleaning, is an alternative approach to facilities maintenance and janitorial services which focuses on the use of safer cleaning products, and scientifically advanced equipment to reduce the exposure to toxic chemicals and natural resource waste. What is a Clean for Health First Approach? In the past, 'cleanliness' was measured by how a space looked and smelled, with little attention paid to the chemicals and processes used. Over the years, this led to increased exposure to toxic chemicals found in conventional cleaning products, as well as the spread of germs and bacteria throughout a facility due to a poor understanding of cross-contamination. Studies have shown that this kind of approach to facilities maintenance is not only unsustainable on an environmental level, but highlighted the incredibly high number of health issues that are directly related to short and long-term, direct and indirect, exposure to dangerous chemicals. The chemicals contained in traditional cleaners can cause a range of health effects from numbness in the extremities and lung irritation to severe burns and neurological damage. Some chemicals and fragrances in cleaners can also cause or exacerbate asthma. The chemicals contained in cleaners are particularly worrisome because using cleaners exposes custodial staff, children and other building occupants to these chemicals. Within the last decade, academic research has demonstrated the numerous advantages to facilities cleanliness, as well as occupant health and performance over traditional cleaning methods. 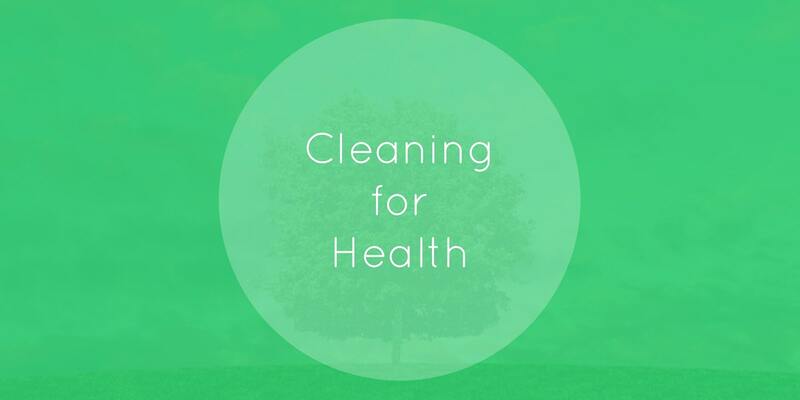 The concept of cleaning for health — rather than for appearance only — has gained momentum over the years. Facility executives now have a better understanding of how cleaning can affect the building’s occupants, and consumers are becoming more savvy on the subject thanks to the media. A key driving element behind the green cleaning/clean for health first trend are millennials who have shown a strong preference for businesses which employ sustainable and socially favorable business practices. [...] for millennials, wellness is a daily, active pursuit. They exercise more, eat smarter, and smoke less than previous generations. In other words, they are much more health conscious and this applies to their workspaces. It is for this reason that entrepreneurial companies, especially those engaged in developing new technologies— the types of companies millennials want to work for— must make sure their offices are clean and healthy. The first step to establishing a clean for health first initiative in your organization is to educate yourself and primary decision makers on the topic. There are numerous resources online regarding the topic, but the most cost-effective method is to consult with a local professional specializing in green cleaning and clean for health first services. Cleaning Equipment - A clean for health first approach typically requires the use of microfiber to increase the efficacy of green cleaning and disinfectant products, improve the effectiveness of the cleaning process, as well as reduce the amount of water and gas (hot water) typical with conventional cleaning methods. Additionally, studies have shown that products such as sponges and cotton-string mops can become contaminated and spread germs from one area of a facility to another. As with the cleaning products, recycle or dispose of out of date or inefficient equipment. Next, identify the cleaning schedules and processes used in your facilities to ensure that high-touch surfaces are routinely wiped down and that spaces have enough time to properly ventilate before occupant entry. Finally, arm your staff with the tools to combat germs by providing them with products to wipe down their desks and computer equipment, hand sanitizer outside of restrooms and in dining areas, foaming soap dispensers, and plenty of paper towels. What's in Your Custodial Closet? Cleaning for health first requires advanced equipment, experienced and dedicated staff who attend ongoing training to maintain competency in modern equipment use, as well as cleaning product application and safety. Employing these initiatives within your organization is rapidly becoming mandatory to maintain the trust and good faith of the public, attract new talent, and ensure customer and occupant safety. The single most cost-effective approach for rapidly onboarding a clean for health program for your facilities needs is to consult with an experienced custodial provider.